Rhythmic gymnast Shin Soo-ji’s first pitch for the Doosan Bears at Jamsil. They showed this clip before the Phillies game today. I assume this is in Japan somewhere. She did what is called a illusion in Dance movement I believe. These type of Athletes do not make it in competitive gymnastics, over 95% of them are a certain body type, very tall, The Russians have Master this sport. But when the MSM showed this, they acted like it was so difficult. 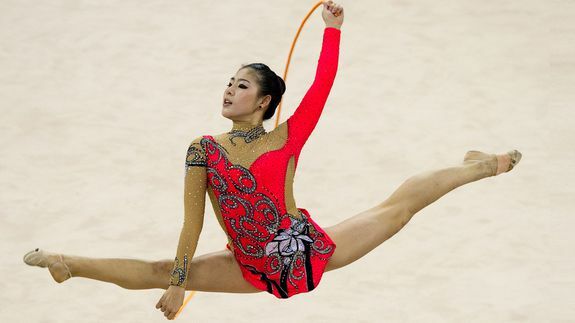 They also did not show her in Rhythmic gymnastic. I wonder what their intentions were in showing this clip?